Three years ago, almost immediately following my PhD viva, I gave a paper at the IMC, dazed and full of questions about what direction my research would take. Given the transhistorical and thematic nature of my thesis, a monograph seemed the wrong approach, so I set about the task of chopping and changing it into a series of chapters and articles. 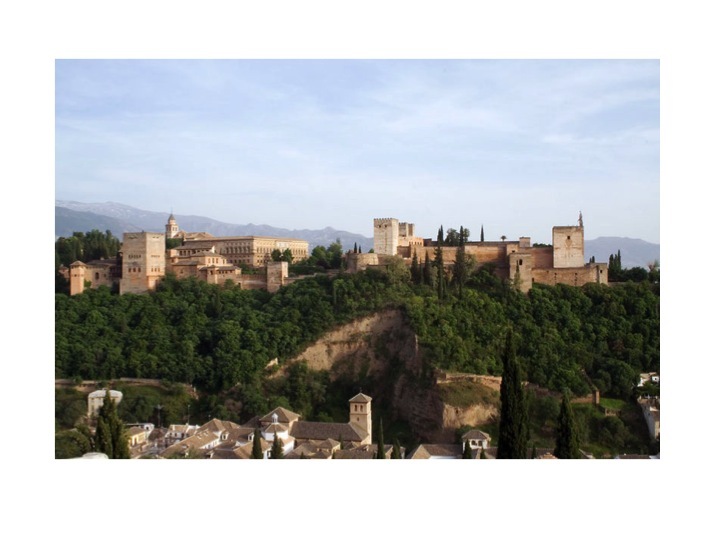 I learned that the Alhambra, an Islamic fortress-palace turned Castilian residence, turned global tourist destination in Spain, is an historical object far too big for a single study, encompassing multiple material and immaterial histories. The very thing that had attracted me to the monument – its potential to blow apart historical and disciplinary categories – was precisely what made it so difficult to contain. My central assertion – that the Alhambra cannot be understood through a singular synchronic lens, but must instead be viewed across and between its periods of transformation – led me to conclude that through its constant appropriation and reimagining it remained permanently displaced. Throughout my time studying this slippery and illusive object, I dabbled in being a medievalist, an Islamicist, a Mediterraneanist, a Renaissance/early modern scholar, a Victorianist and even a ‘Medievalismist’. Having taken up the problem of ornament or decoration as an intermediary category elided by the Western canon, I also found myself at odds with my own field. Non-Western art historians have made significant headway challenging the discipline’s Eurocentrism in recent years, but progress is slow and methodological tools thin on the ground. My peripatetic and at times combative scholarly journey has led to my having a somewhat pluralistic if not fragmented research profile. As a result I have experienced a great deal of anxiety about how to define my specialism and my work, often against the grain of job specs and postdoctoral funding remits. The benefit of all this, is that I have learned to see the value in slowing down, in pausing to consider the strengths and versatility of my research, in recalling the joy of writing, researching and teaching. I’ve become more discerning when using the term ‘interdisciplinary’ and developed a more carefully considered rationale for entering into particular collaborations. Rather than grabbing my nearest colleague and leaping through a series of funding hoops, I’ve identified mutually productive links both in and outside academia. I’ve also pursued avenues for my writing that are off the beaten publishing track, and that have allowed me to explore ideas responsively and creatively. Today I’d like to talk a bit more about my current research and parallel projects that grew organically out of a need to let my research can take on a life of its own. Only some of these activities have led to academic publications, but it has convinced me that the secret to a healthy and nourishing career is allowing space for ideas to evolve, or devolve, in line with the natural rhythms of our interests, influences, preoccupations and concerns. In this way, slow research might be imagined as a kind of ruin – a structure that becomes naturally subsumed and integrated into its surroundings, embodying changes to the researcher and his or her subjects or objects, over time. It is a gradual becoming, incorporating aspects and losing others, eventually coming to resemble something entirely new. In this way we can think of ruins as productive and generative entities, made better by their flaws and failures, a synthesis of the natural and the synthetic. There has of late been much talk about ruins. 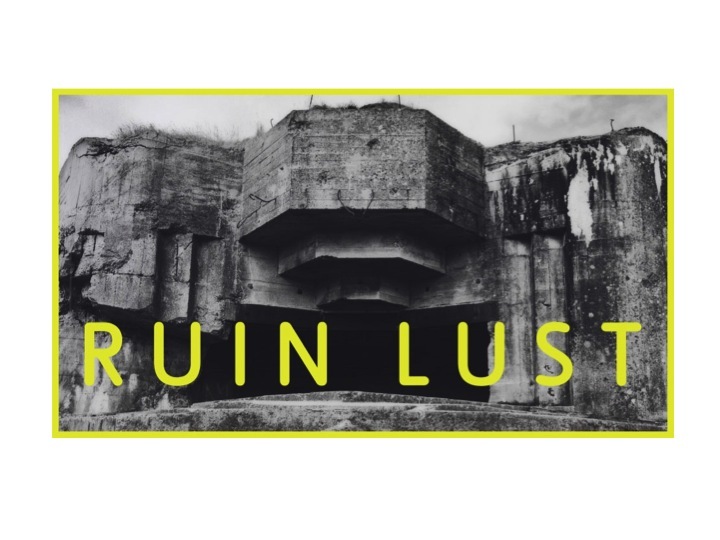 The recent Tate Britain exhibition, ‘Ruin Lust’ attracted a surprising degree of criticism – most of it negative – while conferences and university lecture series have favoured ruin-related themes. In a discussion with a friend about her recent trip to China, we observed the Western-centric fascination with ruins, compared with nations that seem to prefer historic monuments artificially returned to their imagined ‘original’ state. In contrast, British monuments are often restored to a particular stage of ruin, and a number of architectural follies of the Romantic period were actually conceived in this transitory, disintegrating image of the past. A potent symbol of the transience of civilisations and the human condition more generally, Brian Dillon (curator of Ruin Lust) has remarked that ‘we ask a great deal of ruins, and divine a lot of sense from their silence’. Much like a ruin, my research has shed layers and gone through a number of transformations, with some layers receding and others emerging in response to various outside forces. One shaping factor is my membership in what is being called in sociological circles ‘the precariat’. In our current era of funding cuts and departmental downsizing, it is arguably in my best interests to diversify my skills and areas of interest. But rather than a haphazard or compromising approach, there is potential for me to deepen and enrich my research, and expand my methodological repertoire. Moreover, the benefits of doing independent research are clear: free from the fetters of impact agendas, target outputs and corroborating evidence imposed irrespective of disciplinary distinctions or methodological approaches, it is possible to let one’s research breath and take in the view, so to speak. In the arts and humanities it almost always pays off to nurture a project to maturity, as opposed to cranking out an optimum number of publications to meet quota. While part-time or sessional work may not provide stability, it does allow for the gradual accumulation of knowledge, experience and inspiration from a range of contexts which culminate in more considered, if less frequent, outputs. I take up the metaphor of the ruin because it has resonance within literary, visual and material histories. It can serve as a reminder of rot and decay, or point to regenerative potential through disintegration. A return to earth. Tim Edensor, in his keynote address at a recent conference, Big Ruins, at the University of Manchester, argued that any building or urban setting fallen into disrepair could be called a ruin, whilst heavily restored and maintained monuments, such as Rome’s Coliseum, could not. By this logic the agent of ruin might be interpreted as neglect, whereas Florence Hetzler has identified ‘ruin time’ as the principle cause of ruin, which also serves to unify. She has defined ruins as ‘the disjunctive product of the intrusion of nature upon the human-made without the loss of the unity of the original structure’. In line with this, each ruin has a maturation time or a cycle of maturation times. The ruin and its related schools of thought crept onto my radar at the exact point when I was grappling, like so many of us, with the temporal and cultural boundaries that restrict a deeper understanding of historical objects, texts or monuments. It was impossible for me to specialise and acquire the many languages necessary to discuss the Alhambra across its many lives and afterlives. However, having time to contemplate and delve further into different periods opened up a space to consider recurring themes and problems, such as the politics of reception, the dynamics of difference, and the irreducibility of style and corresponding cultural identities. Allowing different periods of production to sit together allowed their seemingly disparate elements to cross-pollinate, and the more difficult or seemingly incommensurate corners of history to emerge. I was thus able to focus on the objects that caused the most problems when I was trying to pull together my thesis into a coherent whole, and, more importantly, consider which categories or lack thereof rendered them so problematic. 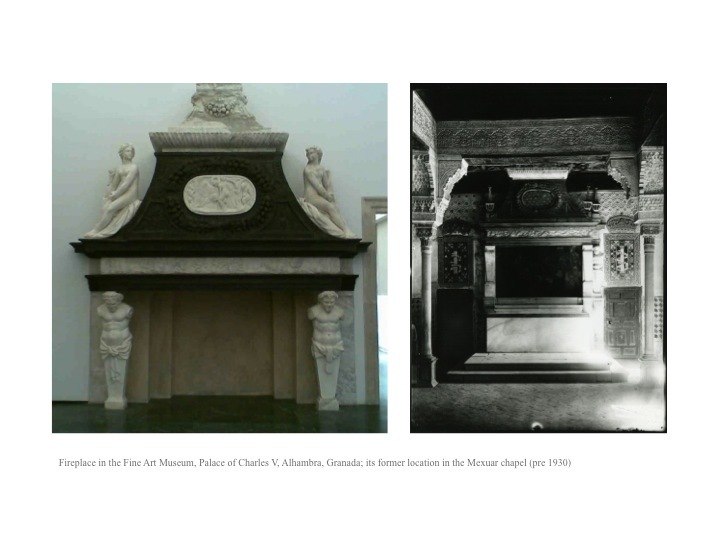 To give one example, the secret life of a large marble chimneypiece that occupies an upper room of the Palace of Charles V on the Alhambra grounds, provided me with a fascinating opportunity to discuss both the politics of style in post-conquest Granada, and restoration agendas in the early 20th century. While I don’t have time to explain this case study in any detail here, it reveals the transformation of a commissioned Italian Renaissance fireplace into an altar for use in royal chapel that had formerly been converted from a Nasrid council chamber following the Catholic monarch’s conquest of the Alhambra in 1492. Its integration into the Islamic decorative programme was only discovered and reversed in the 1930s, and its unusual history attests to a crisis of stylistic identity at two distinctive points in history. Taking a cue from Alexander Nagel and Christopher Wood, I have argued that this might be seen as an example of ‘citation’ through the reuse of art objects, what they describe as ‘the transfer of parcels of coded meaning from one text to another’. While this began as a footnote in my thesis, developing this case study allowed me to isolate and refine my interest in style and its reception across cultures and power identities. 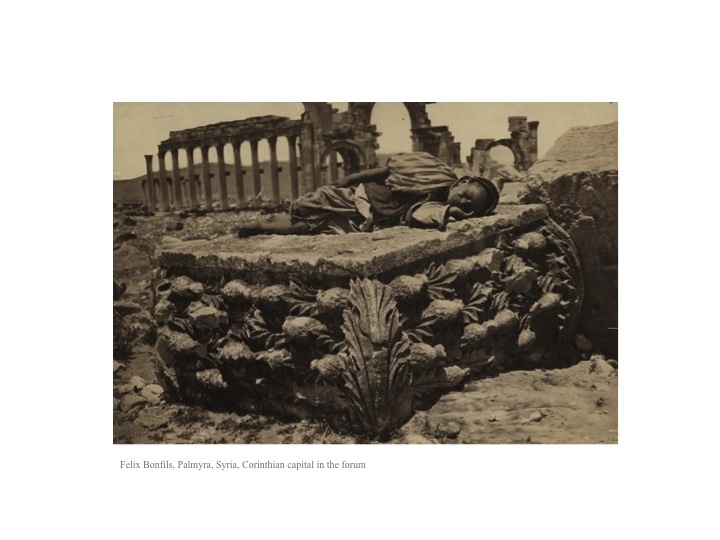 Developing another strain of the thesis, Victorian travel encounters with the Alhambra, led me to spend additional time looking at travel descriptions and testimonies, and the effects these have had on popular and critical historiographies of Islamic art and architecture of the premodern age. Initially interested in the way that a sense of the Islamic Other emerged through these descriptions, I have since broadened my geographical scope to include of surviving monuments and ruins in southern Spain, Portugal and Morocco. This exotic frontier provided a new generation of sightseers with a glimpse of the Islamic world without the inconvenience of long-distance travel to more threatening locations. This influx of tourism would have lasting implications on perceptions of Spain and its Muslim and Jewish heritage, which are closely tied to the historiography that has sprung up around it, from the 18th century to present day. These written and visual accounts also have implications for the way that Muslim cultures in general have subsequently been viewed by European and American audiences. Through the descriptions of early tourists, it is possible to gain a deeper understanding of pervasive models of speaking and writing about architecture in the Western world. We can cross reference these with the formation of disciplines, and popular and critical constructions of Otherness. My methodology has thus become decidedly reception focused. I am interested in the phenomenon of experiencing objects; how people approach, encounter and interpret historical monuments, and how these experiences have in turn shaped our current understanding of so-called Islamic visual culture and its place in relation to shifting global perspectives. This approach necessarily denies a fixed or constant view of the object by introducing human perception as an affective force in the development of our material world, and it upon us. Taking a page from anthropologist Tim Ingold, the growth of embodied skills of perception and action can tell us much about changing relationships between humans, animals and other living and non-living things. Rather than projecting backwards from an artwork or building as a way of understanding artist intent, researchers should adopt a ‘being with things’ approach. In this way they might gain insight into the processes, skills and materials that constitute meaning. 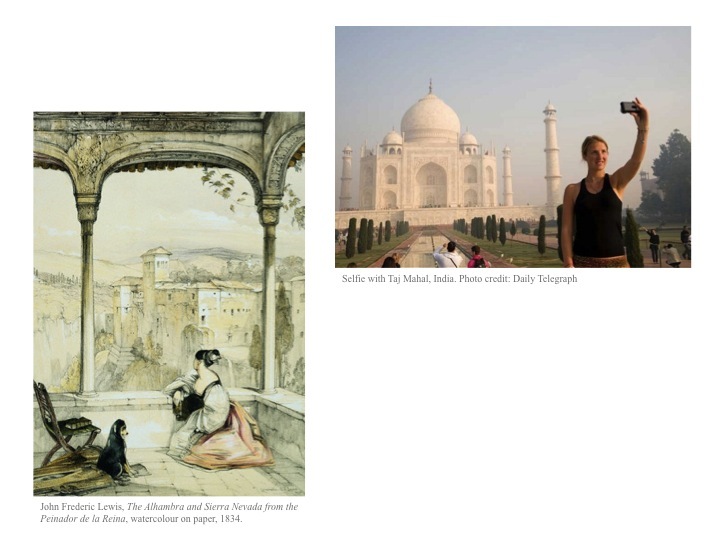 By developing an ontology of travel, I hope to isolate particular historical instances of being with objects, and how these encounters shaped popular and critical opinion. For this reason, Mary Louise Pratt’s work on the transcultural also continues to resonate within my work, particularly through her focus on the anthropological event of the encounter. While I did apply some these theories in my PhD, it has taken much longer to realise the importance of bringing together multiple, individual perspectives to build a larger historiographic picture. The key methodological contribution of anthropology has been the focus on direct experience, both in terms of field research and the nature of human-object relations. Bill Brown’s Heidegger-derived work on thing-theory and Jane Bennet’s more recent forays into ecomaterialism are indicative of part of a new branch of material studies that takes such relations into account. As this field has grown, I have begun to grasp the importance of critically understanding the perceptual frameworks which inform our perceptions of the world and the things in it, which falsely prioritise and grant authority to human subjectivity above all else. To foster a deeper sensitivity to human-object-environmental encounters can also help us to see built and natural environments from different cultural perspectives, and thus circumvent dominant narratives within art and architectural histories. Focusing in on encounters with Islamic monuments as established destinations throughout the latter half of the nineteenth century, I am currently working on a concept of Victorian tourism that considers both passive and active forms of reflection, or more precisely, a negotiation of both the familiar and exotic elements of foreign locales within the structures of leisure travel and commercial tourism. Whether through fascination, wonder and awe; or confusion, frustration and exhaustion, travellers’ descriptions of the built environment reveal a highly reflexive process of situating – or failing to situate – these monuments in relation to existing categories. In turn, their views influenced the expectations of other travellers, as well as popular perceptions of medieval non-Western art forms that were paradoxically situated in Western Europe. It is important to acknowledge that the development of my postdoctoral research has been informed and augmented by my extracurricular activities, which are varied and often in response to artists, exhibitions or other cultural phenomena. I collect some of these in my blog, Folly Matters, which I use as a mouthpiece for thoughts and ideas around forms of artifice and fakery, a theme loose enough to allow commentary, review and collaborations that touch on my areas of interest. In the spirit of slow scholarship, averaging a post every 2 or 3 months, I have explored everything from actual architectural follies, to reflective discussions about the power of forms of artifice, such as facades and faked documents, to communicate something about human behaviour. I’ve also used the blog as a platform for discussions with artists, where I can explore the interface of theory and practice, extending beyond the limitations of traditional scholarship. Last year I conducted a dialogue with artist and curator David Steans on the subject of Medievalism in relation to themes that recur in his work. In it we discuss the symbolic currency of the medieval in contemporary art and popular imagination, drawing out dichotomies of the sacred and profane, the ritualistic and the superstitious, as elements of enduring fascination, especially for predominantly secular art audiences. In 2013 I reviewed a work by Matthew Crawley that was a replica of the poster drums found dotted about Leeds, appropriately called ‘temple’. A folly of a sort, I was interested in how the piece projected a subtle anti-commercialism whilst drawing on a modernist or monolithic aesthetic. I have also ventured into other histories in my art writing: discussions with Spanish artist Hondartza Fraga about the surface of the sea and its potency in maritime visual culture led to a commissioned essay for a Leverhulme-funded publication based on her residency at the University of Hull. In it I explore the natural, formal and metaphoric qualities of the sea and their complex relationship to seafaring and whaling technologies. Being able to explore ideas and histories with living artists has shed new light on my own theories of viewing and reception, and allowed new angles to emerge. My online writing has attracted further collaborations: last year I became involved with the Follies of Youth project organised by the Leeds-based arts organisation Pavilion and a number of volunteers. A number of research-based commissions, interventions and performances have since been developed in relation to the concept of folly, most recently in relation to 18th and 19th century ornamental garden traditions. As part of the next phase of the project I will spend a week as a resident writer at The Good Hatchery, a rustic artist residency in county Offaly, Ireland, responding to a new commission by artist Ruth Lyons. She and a group of volunteers will build and operating a traditional lime kiln as a way of doing hands-on research into early lime production. This will form the basis for Lyon’s subsequent commissioned public piece in Yorkshire in the former Capability Brown designed landscape Byram Park, located near a number of disused limestone quarries, and more recently, Ferrybridge coal power station. Lime will be highlighted as a key binding element in both the geological and industrial history of the area, and a catalyst for discussing a longer history of the human harnessing of natural resources in the service of industry. Such collaborations have contributed to the diversification and refining of strands of my research. In moving away from a single specialism that might have branded me an Islamicist, or ‘Alhambraist’, or even a medieval Mediterraneanist, to the exclusion of other periods, I have chosen to pursue multiple themes and temporalities that at times cross over and overlap into one another. Art writing has been an effective way for me to explore ideas and write freely outside academia, which has in turn enriched and enlivened my research and teaching. Rather than thinking purely about objects and their histories, my collaborations with makers have allowed me to focus and linger on issues surrounding creative and material processes, and the drive to create art more generally. Moreover, it has made me think about how the past is received and interpreted by audiences, and how hierarchies of perception ultimately determine the value of things. My continued interest on the superfluous and the decorative, thick concepts that recur within different areas of my research and discussions with artists, has fed back into my academic activities. In March of this year I co-convened a conference with a colleague at Leeds on the subject of ornament, or more specifically its production and reception over time and across cultures. Our call for papers attracted a broad range of scholars who shared an interest and concern for the place of ornament within, or more specifically outside, traditional formal and temporal categories. From this we have plans to publish special issue to highlight the important questions raised by ornament and the middle ground that it occupies in different art and architectural traditions and historiographies. One particular strength of the event was its transhistorical scope, which allowed scholars to discuss ideas in more abstract and thematically focused terms. These projects, collaborations and events reflect my investment in what the slow scholarship manifesto calls ‘the deep patterns, structures and ideas that are part of cultural foundations’, and, I would add, the inner rumbling engines of artistic production and reception. Increasingly, I see my roles as an art writer and collaborator as equally important to my academic research, and integral to my continued interest in multiple subject areas. 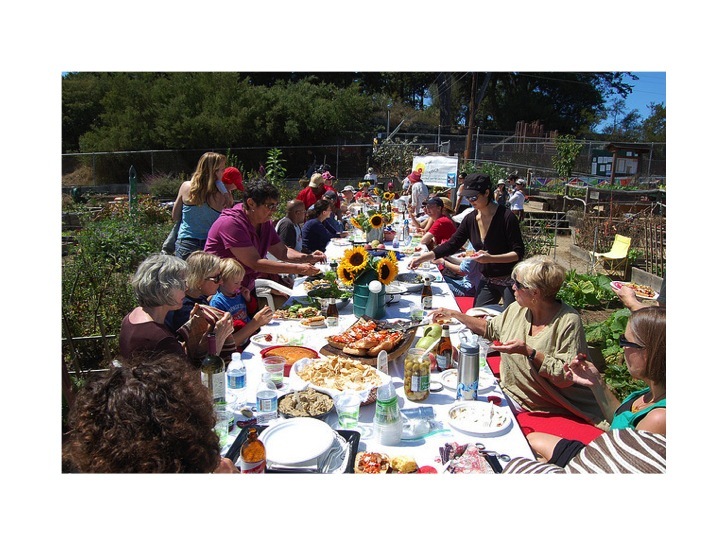 After all, if slow scholarship is to be likened to sharing a carefully prepared, organically grown meal in a leisurely fashion, it should be both nourishing and enjoyable, and communicate some of the passion and dedication that went into it. Much like ruin, its layers and complexity should inspire genuine dialogue and exchange, from which something original might emerge.